Ken Manchester is a Master Certified ASE Technician in 3 fields and also holds the ASE L1 Advanced Engine Performance certification. A strong supporter of ASE, Ken has been a member since their inception and contributed to the development of their testing materials. Voted NAPA ASE Technician of the Year for 2007, 2008 he leads the technical team with advice and guidance. Prior to opening Manchester Auto and Tire of Mint Hill, Ken was a corporate technical trainer for a national repair chain. In that position he was responsible for developing and implementing technical training programs for its employees across the United States. In addition to his expert technical knowledge Ken has also held various management and sales positions for companies such as Toyota and several franchise auto repair and tire companies. In order for Manchester Auto and Tire of Mint Hill to provide an exceptional level of service for years to come, we must update our equipment and technician training to keep up with the continuous changes in Automotive Technology. We must also comply with state and federal mandated laws that provide for a clean environment and safety. In addition, our technicians are ASE certified and attend at least 70 hours of local and factory training each year. 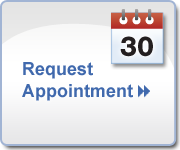 Manchester Auto and Tire of Mint Hill does what it takes to be well prepared in servicing your vehicle.